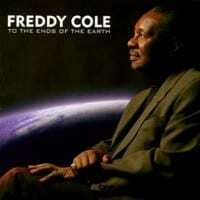 It's hardly a criticism of Freddy Cole to say that he sounds almost eerily like big brother Nat. They share an unmistakable vocal timbre that can only be attributed to incredibly fortunate genes. This 1997 Fantasy album is one of his best. A swinging collection of standards delivered with elegance, emotion, and a mature confidence. Few singers know their way around an old tune like Cole. An outstanding pianist (again like his brother), Cole bows out on the keyboards on all but one tune here in favor of soulful young phenom Cyrus Chestnut. 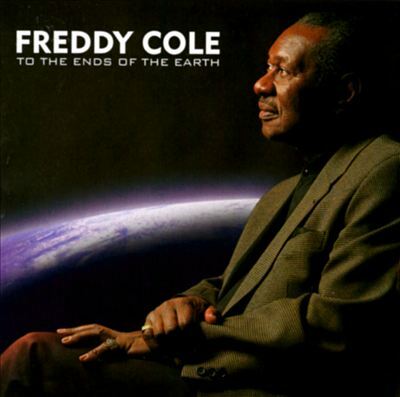 More mellow than ever, Freddy Cole conveys the same suave warmth as sibling Nat "King" Cole. Freddy the Younger can sing the sad songs and make you glad you're hearing "I Didn't Mean to Love You," "For All We Know" and "I'll Be Seeing You." This album is an eclectic mix-the title track sung as a samba, "Candy" delivered at a deliciously slow tempo, the rhythm revved for "I'll Buy You a Star" and "Love Walked In." Cole communicates an especially convincing intimacy on the medley "Two for the Road" and "Close Enough for Love," arranged by his longtime bassist and musical director Tom Hubbard. For duet to tentet settings, Cyrus Chestnut is at the piano, Cole on keys on "I'll Be Seeing You." Cole's cousin Joe Ford adds soprano sax to "Once You've Been in Love," Frank Perowsky plays clarinet on a stellar reading of "In the Still of the Night," George Mraz shares bass chores with Hubbard, Joe Locke is on vibes, Steve Berrios and Yoron Israel alternating on drums.